Shenzhen Guangwei Optical Communication Technology Co., Ltd. is a holding subsidiary of Guangdong Tongyu Communication Co., Ltd. (stock code: 002792). The company was founded in 2010 with a registered capital of 210 million yuan. The company specializes in the research and development, production and sales of optical communication products. The company has more than 230 employees, and has gathered a large number of senior talents in the industry. With high attention to the industry and years of rich experience, we provide customers with a full range of optical transceiver module products and solutions. The products are widely used in metropolitan area networks, local area networks, Storage network, Fibre Channel, fiber to the home and wireless networks, customers in China and Western Europe, North America, Southeast Asia, CIS, Africa, the Middle East, South America and other overseas regions. The company insists on surviving on quality. It has world-class production and testing equipment from Japan, the United States and other places. It has more than 6,400 square meters of 100,000-class clean workshops in Shenzhen headquarters and Wuhan R&D and production base. It has large-scale production capacity; the company strictly controls all aspects of production. Ensure that the performance and quality of the products shipped meet the world-class standards. It has passed ISO9001, OHSAS 18001, ISO14001 three major systems and CE, FCC, ROHS, TUV, FDA and other product certification. In 2014, the company was rated as a national high-tech enterprise. The company's main products include 100G CFP/CFP2/CFP4/ QSFP28 series products, 40G QSFP+ optical modules and cables, 25G SFP28 optical modules and cables, 10G SFP+ optical modules and cables, 10G XFP/X2/XENPAK series products, 1G SFP/1*9 and other full range of products. Shenzhen Guangwei Optical Communication Technology Co., Ltd. firmly adheres to the enterprise spirit of “pragmatic innovation, hard work, never give up”, and constantly creates value for customers, creates prospects for employees, creates benefits for society, and creates returns for shareholders. For the company's mission. 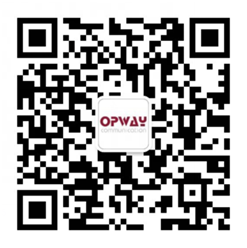 For more information, please visit our website at www.opwaytech.com.